Samsung's Galaxy Note 7 nightmare keeps getting worse. Three major carriers -- AT&T, Verizon and T-Mobile -- said they would stop offering replacement Note 7s. The announcements hit Samsung stock, which dropped as much as 4.6% in Seoul on Monday. The carriers' concern is that the new versions are no safer from fire risk than the originals. Replacement phones were supposed to solve the problem, and users started swapping in their old devices. 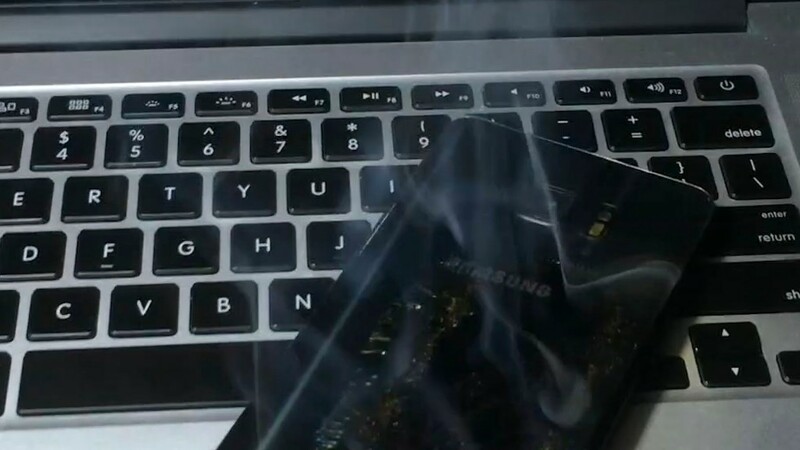 Last month, a Chinese customer said his replacement phone burst into flames while charging. This week, an American user reported his replacement phone catching fire -- even though it wasn't plugged in. And on Wednesday, smoke started billowing from a replacement Galaxy Note 7 aboard a Southwest Airline plane before it departed, prompting the flight's cancellation. "Based on recent reports, we're no longer exchanging new Note 7s at this time, pending further investigation of these reported incidents," an AT&T representative told CNNMoney. T-Mobile said it would suspend sales of all Note 7s, including replacement models. Customers can exchange their Note 7s with any device T-Mobile carries. A Verizon representative said on Monday that the company "is suspending the exchange of replacement Note 7 smartphones." Verizon will also exchange replacement Note 7s for all customers. Last week, Verizon (VZ) and Sprint (S) said that they will exchange new Note 7s for other smart phones in light of the troubling reports. AT&T echoed the claims, and T-Mobile (TMUS) stood by its original policy giving customers a two-week grace period to decide if they want to hang on to the new device. Now carriers are taking things a step further by no longer offering the replacement phones to customers. AT&T (T) is encouraging Note 7 owners to "visit an AT&T location to exchange that device for another Samsung smartphone or other smartphone of their choice." Customers who have already exchanged their old Note 7s for new ones will be able to swap in their phones. All exchanges are free of charge.